Teen Drug Addiction: What can parents do? It’s every parent’s nightmare facing teen drug addiction. As children enter their teenage years they begin to separate from their parents, explore the adult world and fashion an image of their place in it. Even the most conscientious parents may not be able to protect their teens from the predatory lure of drugs, readily available in or around all schools. Borrowing a sports analogy, the best defense against teenage drug use is a good offense. Parents need to equip themselves with solid information about teen drug addiction , a realistic view of their child and access to professional help if there are any early warning signs of drug use and find a good drug rehab. School: Is your child keeping up with his/her school work? Have they lost interest in going to school and look for excuses to stay home? Call the school and keep track of your child’s attendance in class. I coach football and basketball for middle school and high school. I get attendance records and if a teen has missed class, they don’t play in the games. But do you know your child skipped second period math class? Are there days when you think your child has gone to school, but the attendance records do not match up? Children who are in trouble with drugs will often begin failing classes, not turning in homework assignments or in general just fall behind. “I can’t believe Johnny is failing math, it was always his favorite subject.” A new pattern has emerged and it isn’t pretty. Schools have open campuses, allowing kids to come and go. They can easily slip into the community and get into trouble. Health: As a person slips into teen drug addiction a variety of physical signs point to drug abuse. Are they listless all of the time? Kids don’t want to get up in the morning anyway, but they don’t always refuse to get moving. Weight loss and weight gain are signs. Are there changes in eating habits? The eyes are an indicator. Has the life gone out of their eyes, or is there a major change? Appearance: This can be a difficult area to discern, as fashions change and often times what adults feel is acceptable dress may not have anything to do with current trends. Watch for changes in dress. Does a child lose interest in how they look? Kids want to fit in and there is peer pressure influence on the way they dress. Girls, especially, are bombarded with images on appearance. Has there been an attitude shift? Have grooming habits changed? Attitude and Behavior: As children enter their teen years it is natural for them to want to break away from the family. When kids go to extremes to make sure you don’t know who they’re with or what they are doing, the red flag should go up. When they become secretive and guarded, when their privacy at home prevents your open access to them, look for something beyond mere adolescent rebellion. Money can be a sign. If their only interaction with the parents is to ask for money, and when asked why they need money they refuse to answer, or become indignant, that is an indicator of possible drug abuse. Worse yet, they may steal items from home to buy drugs. The most common mistake parents can make is trying to force ideas and values on the defiant teenaged mind. I was that way. There's a leadership responsibility that always needs to be in evidence, and parents need to be parents. Trying to be “best buddies” is not a good strategy. However, parents need to meet their children where they are at. That means trying to understand the situation from your child’s perspective. Teenagers will probably come up with some very wrong reasoning, seriously flawed ideas and their whole world view will likely be counter to that of their parents. But they have a NEED to be heard and respected. The key is to remember that the parent needs to be the one in control. As a chaplain, I do a lot of counseling work and my approach is entirely patient-centered. They establish the themes of the conversation, but even though I am not deciding the topic, or necessarily directing the conversation, I am still in control. Remember that your teenager, like a patient in a hospital, is probably going to be very myopic. He/she will see things only from their perspective. Parents are the front line of the fight against teen drug addiction. Don’t push that responsibility off to the schools. Rather, partner with the school counselors, teachers and administrators, never forgetting that you are the one responsible for your teen. If drug abuse or addiction enters your home, seek professional help and form another partnership in the effort. Many parents have enrolled their teens into a program called Teen Challenge to help those with a teen drug addiction. This program is extremely successful and transforming the lives of Teens who are addicted to drugs and alcohol. Click here to find out more about this excellent program to help overcome drug addiction teens! Click here to find out more about this excellent program Teen Challenge! For more on signs of teen drug addiction click here. For more about teen drug addiction visit Teen Addiction Stories or Teen Addiction Facts. Have a question or story about the a treatment for drug abuse or addiction? Please ask your question or share your story drug abuse or addiction treatment. Questions or story about a drug abuse or addiction treatment? 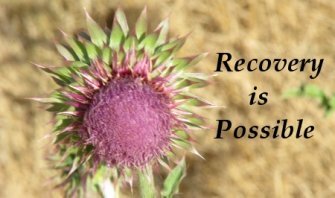 Click below to see contributions about drug abuse and addiction treatment. How can I help my nephew who is buying drugs on the internet? Help, grandson asked me for Help. Click here to submit your question, story or listing.